Current Pharmaceutical Design publishes timely in-depth/mini reviews and research articles from leading pharmaceutical researchers in the field, covering all aspects of current research in rational drug design. Each issue is devoted to a single major therapeutic area guest edited by an acknowledged authority in the field. 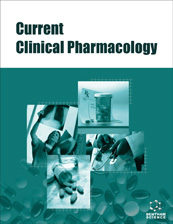 Each thematic issue of Current Pharmaceutical Design covers all subject areas of major importance to modern drug design including: medicinal chemistry, pharmacology, drug targets and disease mechanism. For all online submissions, provide soft copies of all the materials (main text in MS Word or Tex/LaTeX), figures/illustrations in TIFF, PDF or JPEG, and chemical structures drawn in ChemDraw (CDX)/ISISDraw (TGF) as separate files, while a PDF version of the entire manuscript must also be included, embedded with all the figures/illustrations/tables/chemical structures etc . It is advisable that the document files related to a manuscript submission should always have the name of the corresponding author as part of the file name, i.e., “Cilli MS text.doc” ,“Cilli MS Figure 1”, etc. References, figures, tables, chemical structures etc. should be referred to in the text at the appropriate place where they have been first discussed. Figure legends/captions should also be provided. The Journal publishes peer-reviewed full-length / mini-review articles and research papers written in English. Single topic/thematic issues may also be considered for publication. These special issues are peer-reviewed and may contain invited or uninvited review/mini-review articles. A Single Topic Issue Editor will offer a short perspective and co-ordinate the solicitation of manuscripts between 3-5 (for a mini-hot topic) to 6-10 (for full-length hot topic) from leading scientists. Authors interested in editing a single topic issue in an emerging topic of drug design may submit their proposal to the Editor-in-Chief at thematicissue@benthamscience.net for consideration. Mini-reviews should be 6000-10000 words with 75 or more references excluding figures, structures, photographs, schemes, tables etc. Authors should also provide a short ‘running title’. Title, running title, byline, correspondent footnote and keywords should be written as presented in original manuscript. Title page should include paper title, author(s) full name and affiliation, corresponding author(s) names complete affiliation/address, phone, fax, email and keyword should be written as presented in original manuscript. The main text should begin on a separate page and should be divided into title page, abstract and the main text. The text may be subdivided further according to the areas to be discussed, which should be followed by the Acknowledgements and Reference sections. The Review article should mention any previous important old and recent reviews in the field and contain a comprehensive discussion starting with the general background of the field. It should then go on to discuss the salient features of recent developments. The authors should avoid presenting material which has already been published in a previous review. The authors are advised to present and discuss their observations in brief. For Research Articles the manuscript should begin with the title page and abstract followed by the main text, which must be structured into separate sections as Introduction, Material and Methods, Results, Discussion, Conclusion, Ethics Approval and Consent to Participate, Human and Animal Rights, Conflict of Interest, Acknowledgements and References. The manuscript style must be uniform throughout the text and 10 pt Times New Roman fonts should be used. The full term for an abbreviation should precede its first appearance in the text unless it is a standard unit of measurement. The reference numbers should be given in square brackets in the text. Italics should be used for Binomial names of organisms (Genus and Species), for emphasis and for unfamiliar words or phrases. Non-assimilated words from Latin or other languages should also be italicized e.g. per se, et al. etc. Section headings should be numbered sequentially, left aligned and have the first letter capitalized, starting with the introduction. Sub-section headings however, should be in lower-case and italicized with their initials capitalized. They should be numbered as 1.1, 1.2, etc. A page break may be inserted to keep a heading along with its text. Greek symbols and special characters often undergo formatting changes and get corrupted or lost during preparation of manuscript for publication. To ensure that all special characters used are embedded in the text, these special characters should be inserted as a symbol but should not be a result of any format styling (Symbol font face) otherwise they will be lost during conversion to PDF/XML comprising a list of items relevant to their specific research design. Chemical equations, chemical names, mathematical usage, unit of measurements, chemical and physical quantity & units must conform to SI and Chemical Abstracts or IUPAC. Published/reproduced material should not be included unless you have obtained written permission from the copyright holder, which must be forwarded to the Editorial Office in case of acceptance of your article for publication. All individuals listed as authors must have contributed substantially to the design, performance, analysis, or reporting of the work and are required to indicate their specific contribution. Anyone (individual/company/institution) who has substantially contributed to the study for important intellectual content, or who was involved in the article’s drafting the manuscript or revising must also be acknowledged. If the manuscript has an individualsʼ data, such as personal detail, audio-video material etc., consent should be obtained from that individual. In case of children, consent should be obtained from the parent or the legal guardian. A specific declaration of such approval must be made in the cover letter and in a stand-alone paragraph at the end of the Methods section especially in the case of human studies where inclusion of a statement regarding obtaining the written informed consent from each subject or subject's guardian is a must. The original should be retained by the guarantor or corresponding author. Editors may request to provide the original forms by fax or email. The NIH acknowledges the misidentification and/or cross-contamination of cell cultures e.g. HeLa cells being used in a research study as a serious problem. In order to ensure the validation of the work and proper utilization of resources, it is a prerequisite that correct reagents be used in studies dealing with established human (tumor) cell lines that have been cultured for more than 4 years up to the date of submission of the manuscript. Cell lines such as short-term cultures of human tumors, murine cell lines (as a catalog of DNA profiles is not yet available) and tumor cell lines established in the course of the study that is being submitted, are presently exempt from this rule. To minimize the risk of working with misidentified and/or contaminated cell lines, tests such as isoenzyme analysis, karyotyping/cytogenetic analysis and, more recently, molecular techniques of DNA profiling may be carried out to authenticate cell cultures. These tests may help confirm or establish the identify profile for a cell line. Bentham Science recommends that all cell lines be authenticated prior to submitting a paper for review. Authors are therefore required to provide authentication of the origin and identity of the cells by performing cell profiling either in their own laboratory or by outsourcing an approved laboratory or cell bank. Authentication is required when a new line is established or acquired, before freezing a cell line, if the performance of the line is not consistent or results are unexpected, if using more than one cell line, and before publication of the study. The cell lines profile should be cross-checked with the profile of the donor tissue of other continuous cell lines such as provided by the authentic data bank such as www.dsmz.de/fp/cgi-bin/str.html, ATCC® etc. References must be listed in the numerical system (Vancouver). All references should be numbered sequentially [in square brackets] in the text and listed in the same numerical order in the reference section. The reference numbers must be finalized and the bibliography must be fully formatted before submission. SoRelle R. Long reach of the N-terminal of B-type natriuretic peptide. Circulation 2002; 106: 9059-63. Leone A. Biochemical markers of cardiovascular damage from tobacco smoke. Curr Pharm Des 2005; 11: 2199-208. Meuillet EJ, Mahadevan D, Vankayalapati H, et al. Specific inhibition of the Akt1 pleckstrin homology domain by D-3-deoxyphosphatidyl- myo-inositol analogues. Mol Cancer Ther 2003; 2: 389-99. Ban Y, Tomer Y. Endocrine diseases. Graves’s and Hashimoto’s diseases. In: Oksenberg J, Brassat D, Eds. Immunogenetics of autoimmune disease. Medical Intelligence Unit. New York: Landes Bioscience and Springer Science-Business Media 2006; pp. 41-58. Astrup P. The arterial wall in atherogenesis. In Cavallero Ed. Atherogenesis. Padua: Piccin Medical Books 1965: pp. 77-92. Rosai J. Histological typing of tumours of the thymus. 2nd ed. Berlin and Heidelberg: Springer-Verlag 1999.
 Cooper R, Cutler J, Desvigne-Nickens P, et al. Disparities in coronary heart disease, stroke, and other cardiovascular diseases in the United States: findings of the National Conference on Cardiovascular Disease Prevention. Circulation 2000; 102: 3137-47. Chao JT, Theriault A, Gapor A. Delta-tocotrienol is a potent inhibitor of monocyte-endothelial cell adhesion. In: Cutting edge technologies For sustained competitiveness. Proceedings of the 2001 PI POC International palm Oil Congress, Food Technology and Nutrition Conference, Kuala Lumpur, Malaysia, Aug. 20-22, 2001; pp. 225-34. Silva ATA. Ed. Development of compounds potentially active against Helicobacter pylori. [monograph on the internet]. Araraquara: School of Pharmaceutical Science, Universidade Estadual Paulista 2008 [cited 2010 July 10]. Available from: (www.fcfar.unesp.br/posgraduacao/cienciasfarmaceuticas/Disertacoes/2008/antonio_tavora-completo.pdf) [monograph in Portuguese]. Durandy A, Kaveri SV, Kuijpers TW, et al . Intravenous immunoglobulins-- understanding properties and mechanisms. Clin Exp Immunol 2009; 158(Suppl 1): 2-13. O'Riordan JI, Thompson AJ, Kingsley DP, et al . The prognostic value of brain MRI in clinically isolated syndromes of the CNS. A 10-year follow-up. Brain 1998; 121(Pt 3): 495-503. Bluestone JA. Costimulation and its role in organ transplantation. Clin transplant 1996; 10(1 Pt 2): 104-9. Citations for articles/material published exclusively online or in open access (free-to-view), must contain the accurate Web addresses (URLs) at the end of the reference(s), except those posted on an author’s Web site (unless editorially essential), e.g. ‘Reference: Available from: URL’. If the number of authors exceeds six then et al . will be used after three names (the term “ et al .” should be in italics). The authors are encouraged to use a recent version of End Note (version 5 and above) or Reference Manager (version 10) when formatting their reference list, as this allows references to be automatically extracted. All authors must strictly follow the guidelines below for preparing illustrations for publication in Current Pharmaceutical Design. If the figures are found to be sub-standard, then the manuscripts will be rejected. For TIFF or EPS figures with considerably large file size restricting the file size in online submissions is advisable. Authors may therefore convert to JPEG format before submission as this results in significantly reduced file size and upload time, while retaining acceptable quality. JPEG is a ‘lossy’ format, however. In order to maintain acceptable image quality, it is recommended that JPEG files are saved at High or Maximum quality. The cost for each individual page of color figures/plates/illustrations is US$ 997. No page charges will be levied to authors for the publication of their review articles. For published research articles, however, the publication charges for the first 8 pages will be US$ 96 per page; if the article is more than 8 pages, then charges will be US$ 172 per page for additional pages. Bentham Science offers a 50% discount off all page charges for manuscripts of all corresponding authors who reside in countries which are categorized as low-income economies by the World Bank. To see if you qualify to the discount, please refer to the complete list of these countries click here. 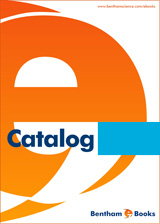 QUICK TRACK allows online publication within 2 weeks of receipt of the final approved galley proofs from the authors. Similarly the manuscript can be published in the next forthcoming PRINT issue of the journal. The total publication time, from date of first receipt of manuscript to its online publication is 10 weeks, subject to its acceptance by the referees and modification (if any) by the authors within one week. The author will be charged US $300 (non-refundable processing fee) on receipt of the agreement form of quick track to cover the cost incurred for expedited peer- review of the submitted manuscript. Later, the Quick Track publication fee (US $275 per composed page charges) will be payable before online publication of the article. However, if the article is rejected at the peer-review stage, then the US $275 per composed page charge will not apply. Authors who have availed QUICK TRACK service in a BSP journal will be entitled for an exclusive 30% discount if they again wish to avail the same services in any Bentham journal. For more information please contact the Editorial Office by e-mail at cpd@benthamscience.net. Bentham Science also offers authors the choice of “Open Access Plus” publication of articles at a fee of US$ 2,900 per article. This paid service allows for articles to be disseminated to a much wider audience, on the terms of the Creative Commons Attribution 4.0 International Public License (CC-BY 4.0) (https://creativecommons.org/licenses/by/4.0/legalcode). Authors are asked to indicate whether or not they wish to pay to have their article made more widely available on this “Open Access Plus” basis. Where an author does not opt-in to this paid service, then the author’s article will be published only on Bentham Science’s standard subscription-based access, at no additional cost to the author. Articles appearing in E-Pub Ahead-of-Schedule sections have been peer-reviewed and accepted for publication in this journal and posted online before scheduled publication. Articles appearing here may contain statements, opinions, and information that have errors in facts, figures, or interpretation. Accordingly, Bentham Science Publishers, the editors and authors and their respective employees are not responsible or liable for the use of any such inaccurate or misleading data, opinion or information contained in articles of the E-Pub Ahead-of-Schedule. Current Pharmaceutical Design was introduced in 1995 with the assistance of Dr. William A. Banks , who is the current acting Editor-in-Chief since 1995.